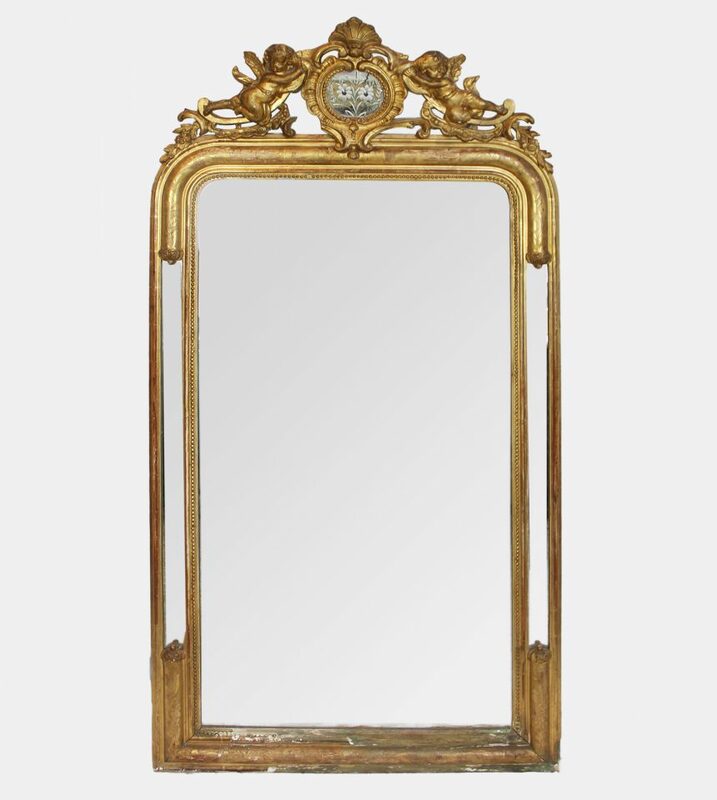 Small antique French rectangular mirror. Frame and mirror are nicely distressed. The glass is authentic to the mirror and has some mist over it, as well as it has some small spots and. 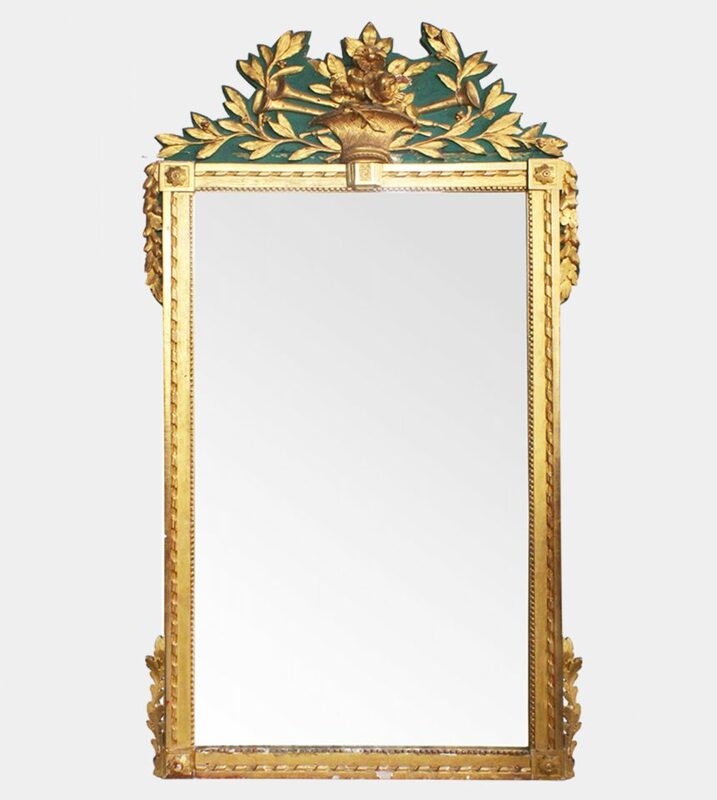 The mirror has its original wooden back cladding. 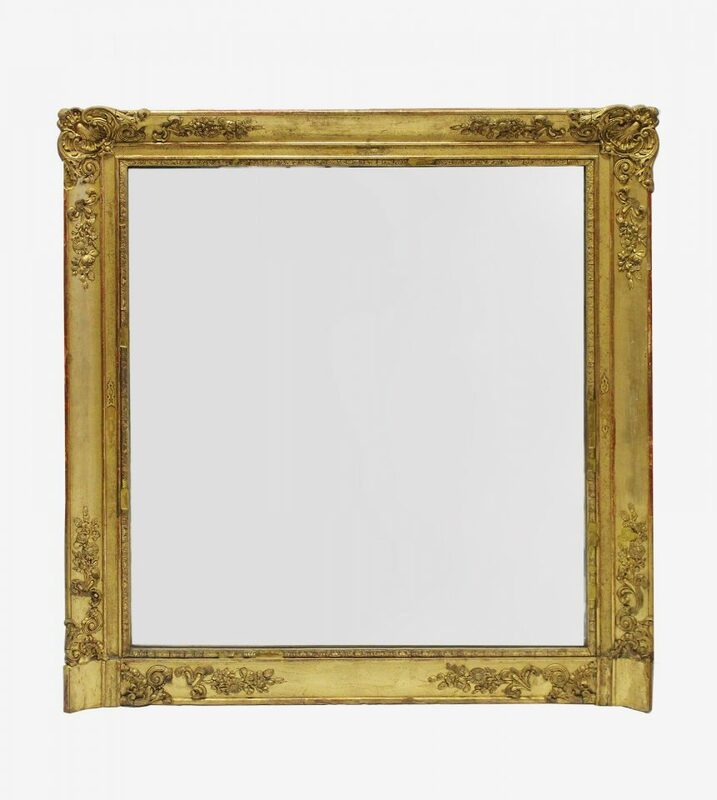 Note: This mirror frame can be hung vertically or horizontally. H 51 cm. W 64 cm.